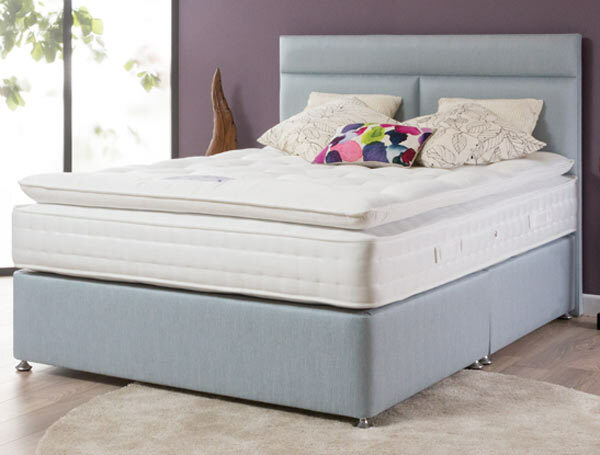 Pillow top mattresses are not for everyone , However they can be very comfortable and they are easier to look after as they only need to be rotated from head to toe and not turned over so they have their benefits. 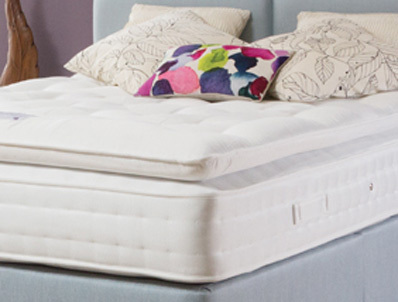 The Hushabye Pillow top collection top model is the Pillow top Opulence which combines 2000 pocketed springs in a king size mattress along with multiple layers of high quality fillings like white fibre, cotton, wool and silk to give a comfortable feel. This is a non turnable mattress and because of this you may notice settlement in your mattress ( which means when you spin the mattress that surface may be more flat in some areas other than others this is called settlement and is natural with all pillow top products and is not a fault.